with whom I'll spend my life. I'll be his lucky wife. You used to pat his little head. And now I'll hold his hand. and gave to me a man. 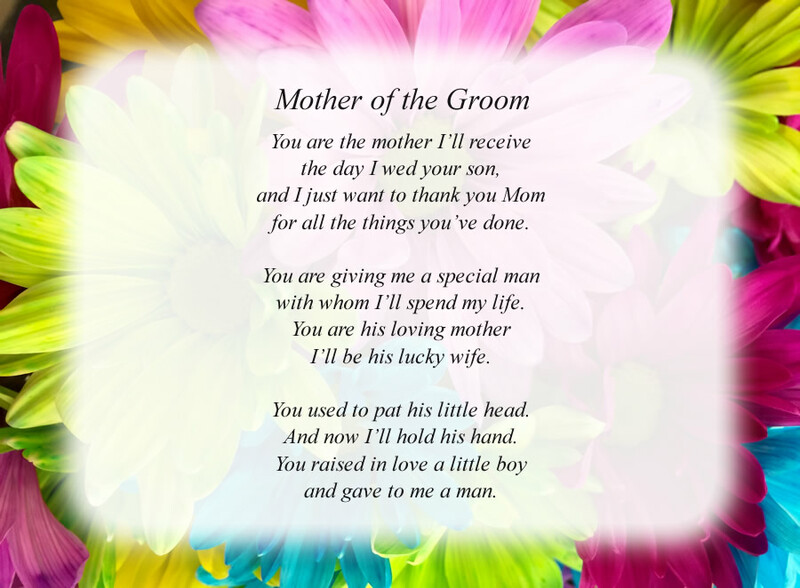 The poem, Mother of the Groom, is free and printable by opening or downloading using one of the three links below.